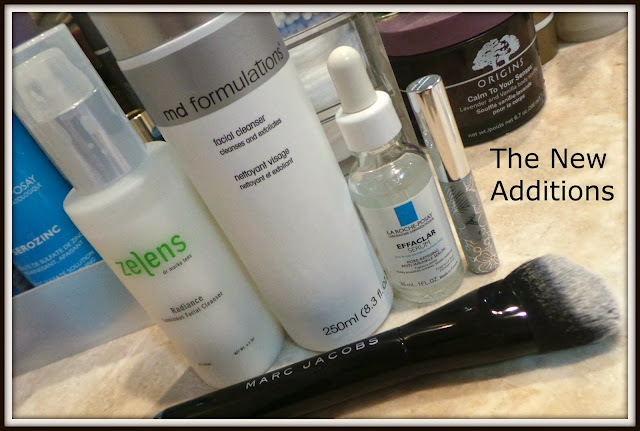 Back to beauty-here's the current new additions to my regime. I bought this after seeing Anna from VDM rave about it in one of her vlogs but after using if for 3 weeks I am just not sure about it at all and I know I wouldn't repurchase. I have been using this cleanser as my morning cleanser-applying it to dry skin and then (trying) to wash off in the shower. The texture is really strange, it's a gel cream that quite frankly looks like erm sperm (I did ask on twitter if it was acceptable to describe it as sperm-like, no one said no!). If I apply 2 pumps (which is a pretty standard amount of cleanser) it completely sinks into my skin-I can't see anything at all to wash off which feels really strange (I have combination/oily skin btw) and if I use 3 pumps which seems excessive given the price of this cleanser in the first place, it does sit on my skin but disappears as I massage it in. I have never used a cleanser which does that. And that makes me fearful to use it to remove make up. If it sinks into my skin and completely disappears how will it remove the make up off my skin?? My skin doesn't feel particularly cleansed after using it and I just don't feel like it's worth the money. It's cool on the skin when you apply it and comfortable to use but that's the only positives I can say really. Key ingredients are Aloe Vera (which is cheap as chips) and Camellia Oil. I will use it as I am not having any adverse reaction to it but I wouldn't repurchase. Now this is a cleanser I would (and already have) repurchase. Highly recommend by Rebecca at Be Beautiful I had to try it as I have loved almost everything she has recommended. If you like skincare, Rebecca has the best recommendations. This cleanser comes in a massive 250ml size which will last ages-I have already been using this about 4 weeks (I know this is a 'new additions post' but I prefer to test skincare out if possible before giving an opinion) and I use it as my second evening cleanse after my 'make up removing' first cleanse. This is another gel cream that I apply to dry skin and massage in until it turns white before rinsing and then going over my face with a flannel to ensure there is no product left on my skin. 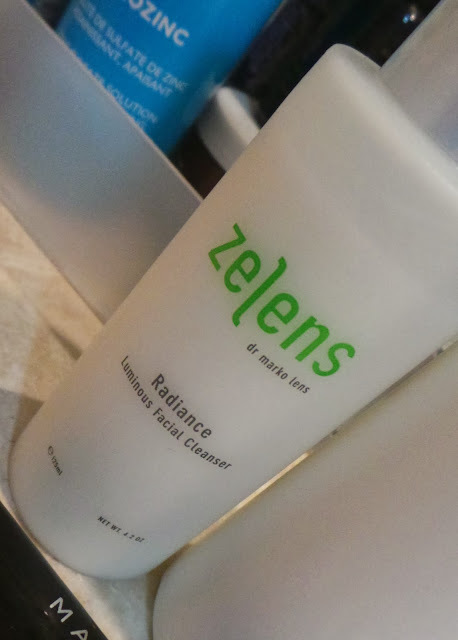 This cleanser is good at removing make up as well, my skin feels properly clean after using it. The reason I like this cleanser is it contains a glycolic compound to chemically exfoliate the skin (there are no grains in this cleanser) and reveal smoother, brighter, clearer skin. Glycolic acid is an AHA and I have spoken about them on my blog before but glycolic acid is a fruit acid which has proven to be the most effective AHA at penetrating the skin to help remove wrinkles and deliver clear, glowing and healthy looking skin. I use this cleanser daily and sometimes feel a slight stinging when I use it-that's the AHA working. It's still on offer at Look Fantastic at the price I paid above. A really strange product that I should hate but I love! You can't buy this in the UK, I bought mine when I was in the US in March after reading a glowing review from Tiffany at Will Work For Makeup. Tiffany's was one of the first beauty blogs I ever read and I have been hooked ever since! 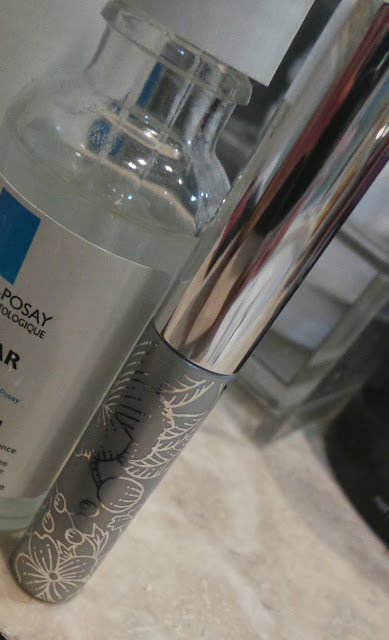 I pretty much echo what Tiffany says about the product; it's a very light, non oily serum that absorbs quickly into the skin without leaving any stickiness behind. I have been using mine every other night after my double tone, pressing about 3 drops from the enclosed pipette over my skin before gently massaging it in. Again this contains 2 AHA's-a glycolic compound and LHA and states it refines pores, smooths wrinkles and boosts radiance. I've found that this serum in particular seems to stop upcoming spots in their tracks and has been good for fading acne scars. My skin also feels so soft after using it. All good huh? But (and sadly it's a big but) the second largest ingredient in this serum is alcohol which just doesn't seem right in a serum or from a brand with years of scientific research behind it like LRP. But the reviews I have seen online have been mainly positive (including people saying it does wonders on whiteheads) but the Paula's Choice website hates this product and really slate it because of the alcohol content. I can understand why but I have seen then the benefit of using this product. Would you try it? How how how have I lived without this?? I resisted buying it for the longest time, thinking it was a gimmick and a waste of money. Before buying this I rarely actually put mascara on my bottom lashes because I was so rubbish at applying it without it smudging everywhere. This has literally converted me-I absolutely love it. It has the tiniest brush that gets to all the little lashes. The brush has just the right amount of product to coat the lashes without clumping and it does not smudge or flake at all, all day. I have found it seems to just frame my eyes and make them look more awake. I can't rave about it enough. Buy, buy, buy!! This is a large, angled foundation brush which is densely packed but super soft and applies liquid foundation brilliantly. But not only that, you can use it for blusher, powder, contouring, bronzer etc- it's a real multi-tasker. It's synthetic bristles wash really well and I haven't had one hair shed from it. Only available in the US and Dubai, if you visit either I recommend checking it out. I love this one so much I went back and purchased another brush from the range to try. Pretty much four hits and one miss in my recent new additions. Have you tried any of these products? I would love to hear your thoughts. That brush!!! Need very badly! It's a good thing you could laugh off the tuna spectacle, lol! Alcohol is usually fairly high in AHA products to stabilise them and their benefits are carefully measured against any negative effects of alcohol. Hahaha I just saw that! They always have to pick the place that is the HARDEST to clean up as well! It must be hard-wired into their genes! I'll give the Clinique one a go once my tube of New Look has dried up ;) I'll keep you posted! Gah, so sorry to hear about the cat bowl incident! Mine have this talent of barfing when I'm in a hurry to get out of the house! Thanks for putting that Clinique mascara on my radar! I love Dior New Look for my bottom lashes because the brush is pretty much the only one that's small enough for my non-existent bottom lashes, but I might have to give this a go since I can't afford to purchase THREE Dior mascaras (I use the lash primer and Iconic Overcurl as well) every 3 months or so!